The boiling tanks are designed for producing jam and marmalade. Tanks have either electric or manual stirrer. Boiling tanks are available in different sizes, starting from smaller 15-litre tank up to big 120-litre tanks. 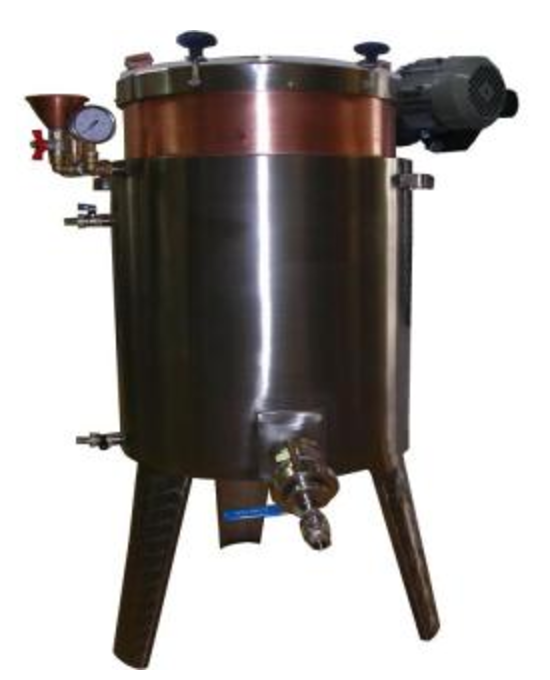 Tanks are made of copper that is ideal for processing jam. The water bath around the tank is made of stainless steel. Copper reduces bacteria and therefore ensures longer lifetime for jam. Also boiling in copper tanks ensures optimal result in taste and appearance. For example the colour of the marmalade or jam will be more natural when cooked in copper tanks without adding any artificial dyes (e.g. strawberry jams). Copper therefore reduces the use of preservatives and artificial dyes! The heating element around the boiler is filled with water, which ensures fast and even heating of the tank. 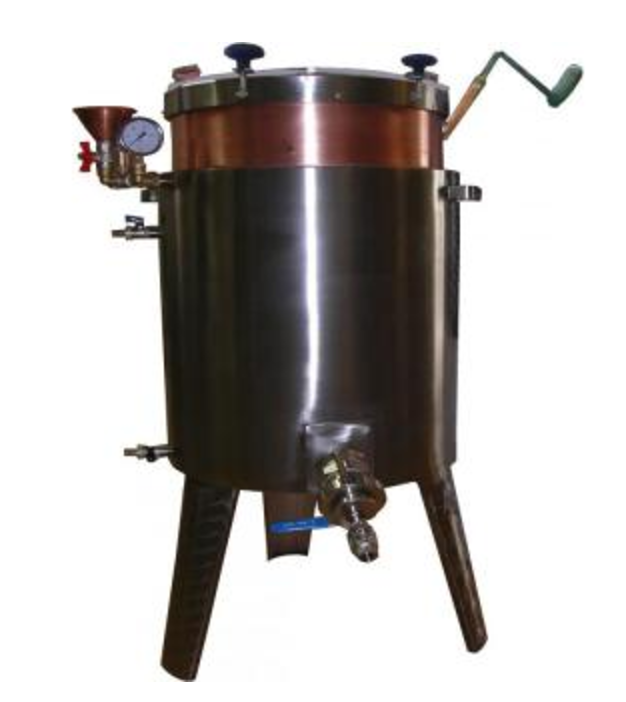 The lid of the boiling tank is made of stainless steel and has two parts. Under the smaller part of the lid in the center of the tank there is a grated area that can be used to add ingredients or sugar. The bigger part of the lid opens the whole top part of the tank. It makes it easy to empty and clean the tanks.